You’re driving on a freeway well past dusk and your car seems to be stalling for no reason, the lights within go dark and the radio refuses to turn on. No, we aren’t narrating the premise of a horror movie and we assure you that there’s nothing paranormal going on here; the only thing wrong is with the ignition system of your vehicle. 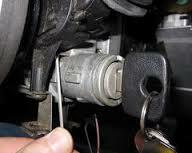 If you’ve confirmed a faulty ignition switch, it calls for an ignition change. 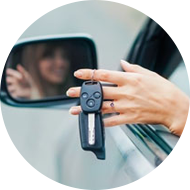 Assuming your vehicle is still drivable, you can take it to the nearest repair shop, if not, there’s a better, more convenient option – call Akron Locksmith Store. Did your car break down in the middle of nowhere? We’ve got an extensive network across Akron, OH area and no matter where you are, you can always count on us for assistance. We carry all the tools needed and the necessary components needed to carry out an ignition change in our vans. Also, we don’t add any convenience fee, nor levy any hidden charges. A flat, upfront and reasonable price is what you’ll get from us. For all your ignition-related woes; we’ve got the right solution. Call us on 330-558-8822 !